Running around to get things done takes up so much time in our day, it’s hard to believe we ever find a moment to relax. From work to meetings to time with the kids to squeezing in a few social events, it can be hard to get a little downtime. Still, it is so important to designate time to stay put and unwind. With a fast-approaching winter season, we have more than enough of an excuse to spend more time in the comfort of our own homes for a little self-care time. One of the sweetest parts about finally scoring extra time to relax is being able to cozy up on our couch and do a whole lot of nothing. All we need for such a precious moment of peace and quiet is usually a great show to binge watch, something delicious to snack on and a comfy blanket to cozy up in. We are sure you have it all covered when it comes to catching up on those Netflix shows waiting in the queue and stocking up on all the best snacks. But there is a plush throw that is totally worth tossing into the equation! Our favorite blanket to pull out whenever we park ourselves in front of our television for fresh episodes of This Is Us is the Nordstrom at Home Kennebunk Bliss Plush Throw. See it: Snag the Nordstrom at Home Kennebunk Bliss Plush Throw for $39 while over 16 colors are still in stock. 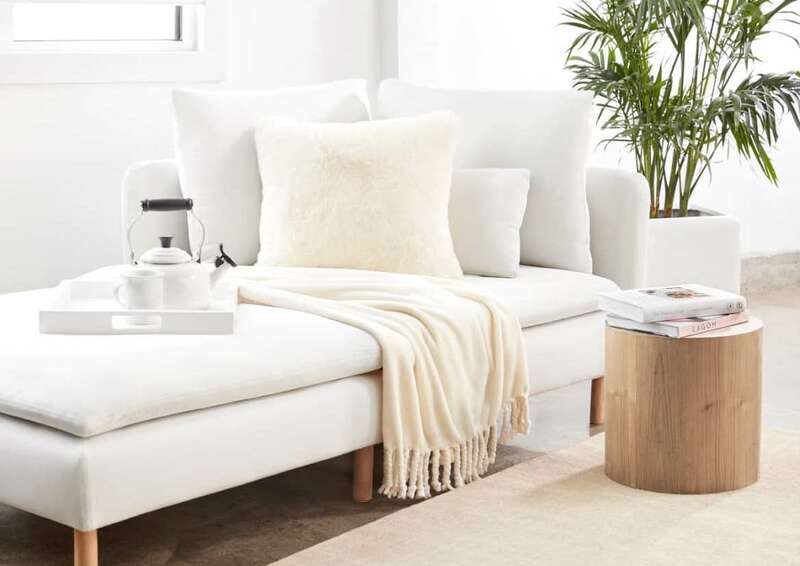 The plush throw is the perfect way to upgrade the go-to cuddle spot in the house. It is made of ultra-soft fabric with stylish fringe on the ends. 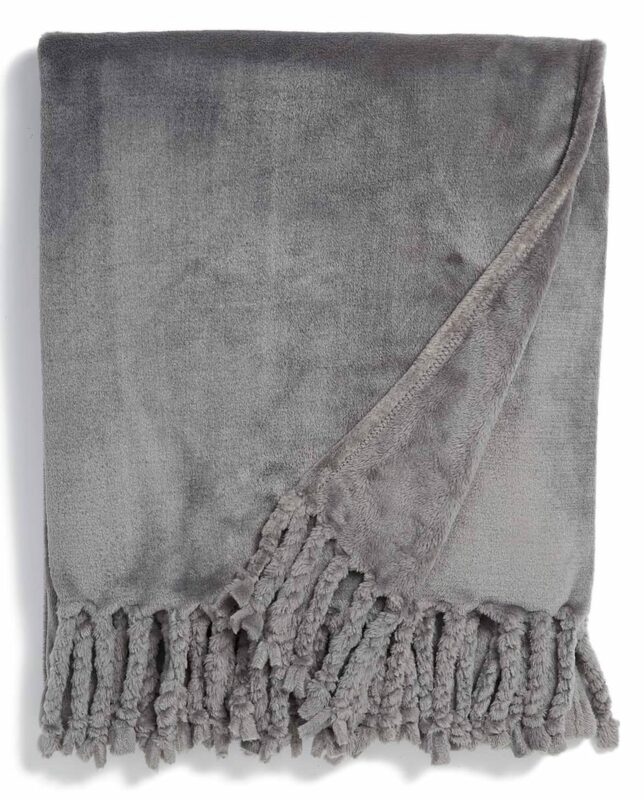 Aside from the softness, we also love that this throw blanket comes in so many colors. There are currently 16 colors to choose from with a healthy mix of classic neutral shades, pastels and bolder hues. We can keep warm when we are lounging around the house napping or relaxing but the pretty colors are also just begging Us to pick a standout shade as a complementary accent color for décor purposes. Check out how beautiful the Vanilla version of the blanket looks in this fun monochrome home look. We also do not have to reserve our throw blanket for the living room only. This throw can be laid anywhere in the house for both style and convenience purposes including our bedrooms, living rooms and home offices. 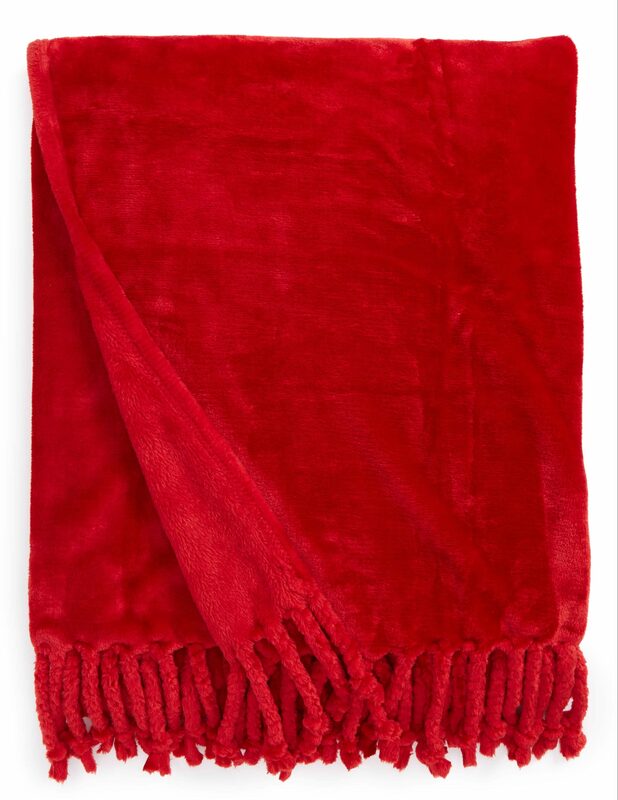 If you pulled this chic blanket out in your chilly office, we know you’ll get instant compliments, too! 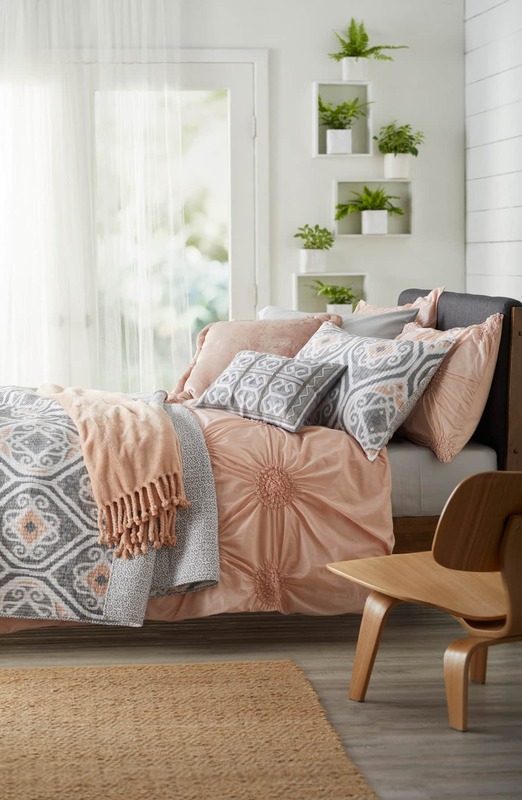 Shoppers who prefer to depart from neutrals but want to keep a soft color scheme going in their homes may love how this Pink Peony version looks laid across this set. The bold red version would serve as a lovely pop of color laid across a sofa living room set in the beige or tan family. It would also work just as well draped across a desk chair in a home office or a chaise lounge. This Teal Gazer blue version of the Kennebunk Bliss Plush Throw is also coming with Us during our airport visits while we travel during the holidays. These single-size throws are great to snag for ourselves but they also make for lovely gifts for everyone on our list. 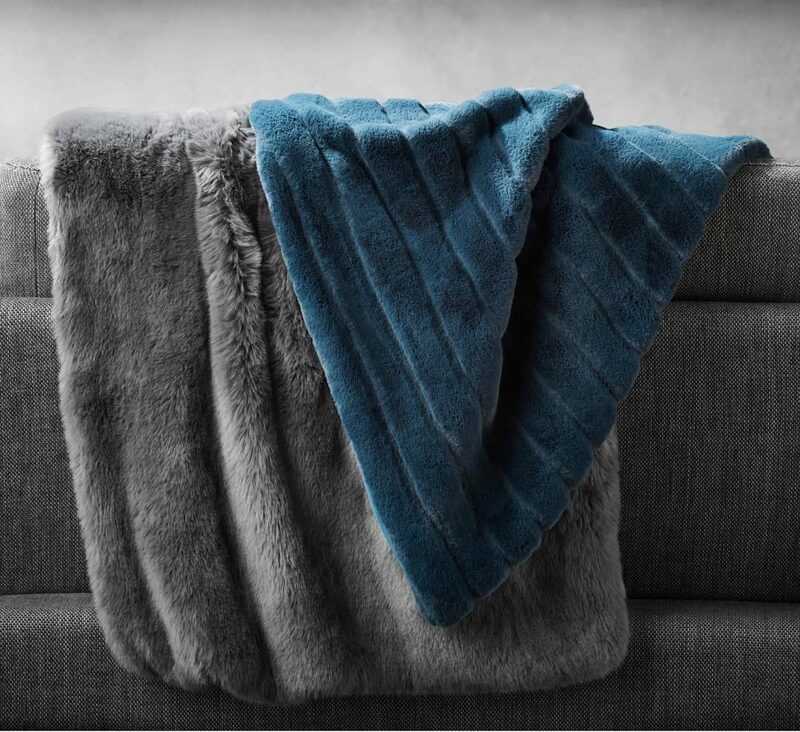 Whether we need something for the Secret Santa game for the holiday festivities at work, trying to figure out what to get an in-law we love or for the “comfort first” person in our lives — this luxe throw blanket is something anyone will be happy to unwrap and take home this season. Shoppers who bought and used the Kennebunk Bliss Plush Throw vouch for its softness but they rave about so many other details. Reviewers noted they appreciate that it is warm yet manages to be lightweight. Several reviews shared that the blanket does maintain its quality after a few wash cycles. One shopper shared that she has used her throw blanket every day since she purchased it. Another revealed that she snagged a throw for every room in her family home! So many shoppers shared that this blanket is not only their favorite thing to cozy up in when they are in the house but also it is their go-to gift for the holiday season, birthdays and other events. Who’s ready to curl up and keep warm in style this season? 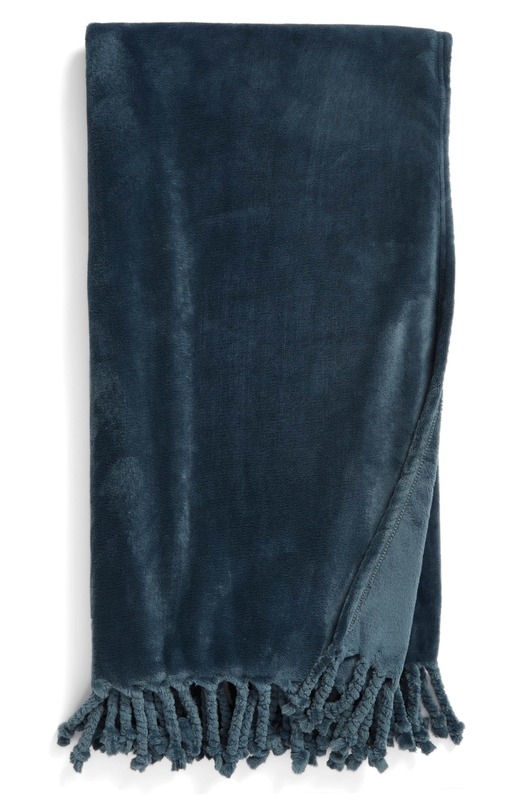 The Kennebunk Bliss Plush Throw is only one option in a huge collection of cozy items from the Nordstrom at Home section. It’s worth browsing for people who love home décor and love quick ways to update their living spaces. See it: Snag the Nordstrom at Home Kennebunk Bliss Plush Throw for $39 while over 16 colors are still in stock. Also, shop the entire Nordstrom at Home section for more lovely goodies.